For some exercising conjures images of pain and puffing. Then there’s others, like Castlemaine’s Jo Christy for whom keeping fit is so much fun she doesn’t want to stop. About five years ago Jo started Castlemaine Quad Fit, a fun aerobic workout done to music – with a twist. It’s all done on wheels – roller skates to be exact. 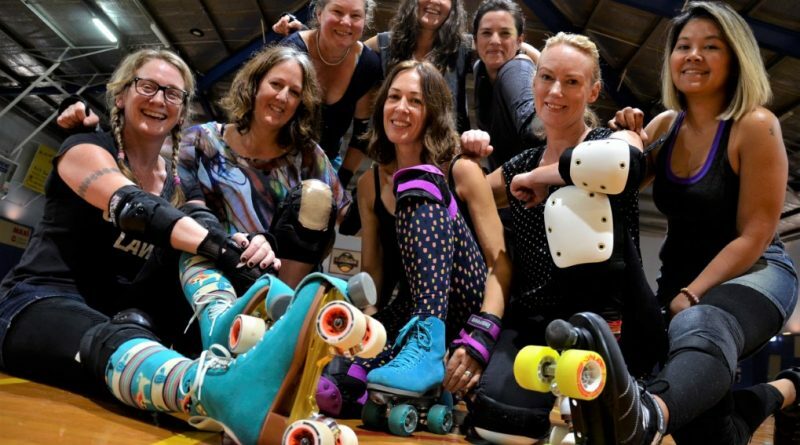 For Jo, a sole parent who moved from the city where she enjoyed skating classes, starting Castlemaine Quad Fit in affiliation with Skate Victoria was a way to continue her love of skating and combat social isolation as well. 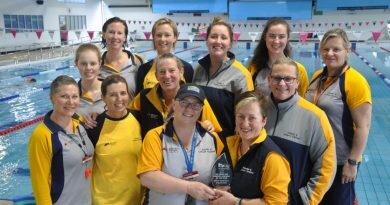 “When I introduced Quad Fit here in 2015 I was one of the first in Australia, possibly the first, and for the first few years sometimes only one or two would turn up,” she says. 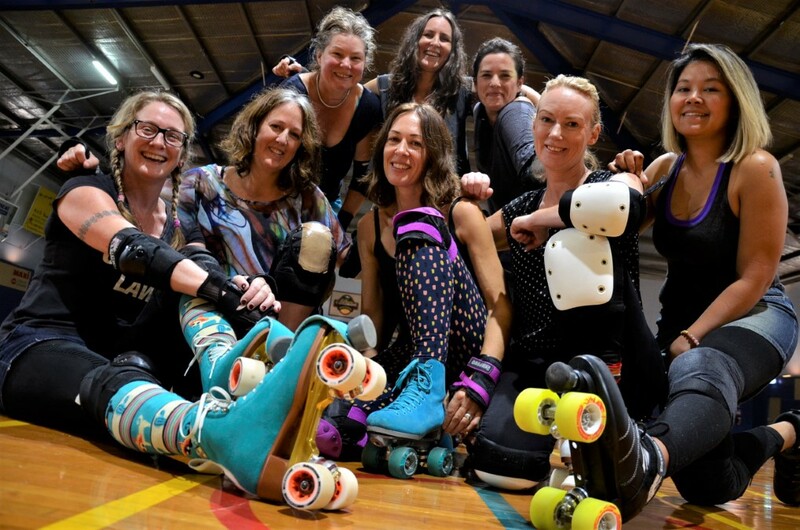 Jo thinks the recent upsurge in popularity may be partly due to Quad Fit regulars doing a roller dance demo at last year’s Castlemaine Spring Ball – and her own performance on roller skates at last year’s billy cart challenge may also have contributed. Whatever the reason, it seems there are quite a few locals about now who just can’t wait for Friday morning’s 9.30am class to roll around. 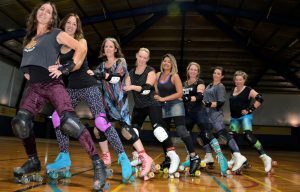 In fact Jo says the weekly sessions she leads at Wesley Hill’s War Memorial Stadium are taking off to the extent that she’s having to think of possible ways to secure more skates. “It’s really taken off in the last few months,” she says. Think roller boogie or roller disco. But don’t expect to be able to do it – at least not with dexterity – until you’ve mastered the basics which are exactly what Jo teaches first up. “I teach you first how to skate safely,” she says. Jo says Quad Fit was initially developed as a way to enable roller derby skaters to maintain their skating fitness while recovering from injury, and says the fact that you’re on wheels means less pressure on joints than some other repetitive workouts like jogging. “It’s a smooth workout,” says the skater who’s known to quite frequently skate about her kitchen at home. Now she’s keen to explore options for introducing a future evening class as well to cater for Castlemaine’s weekday workers. Those interested in trying out Quad Fit will soon get a chance to do so free of charge with a VicHealth This Girl Can session to be delivered through Mount Alexander Shire Council on May 3. And for those thinking of getting along to a session, Jo recommends getting on the Quad Fit Castlemaine Facebook site first and sending in your shoe size before you attend. “I love the social side of it. 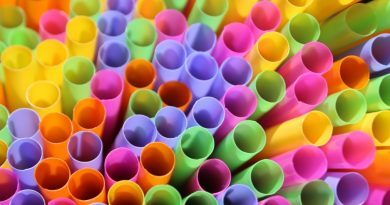 It’s really good for your psychological health as well,” Jo says. While mostly women have been attending so far, a few men have also laced up the skates and Jo says Quad Fit sessions are entirely inclusive of everyone. 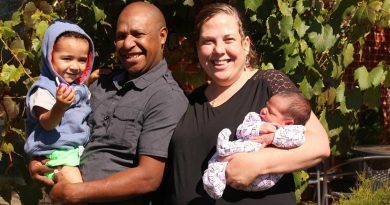 Tana Kiak and Katy Condliffe with their children, Handari (2) and baby daughter (not yet named) born on March 29.